Modak is a sweet served to Lord Ganesha on Ganesh Chaturthi festival, widely celebrated all over India, especially relevant in Maharashtra. Therefore I thought of preparing modak for this occasion. And have shared a step-by-step recipe for deep fried modak with sweet, chewy coconut stuffing and a very crispy outside covering. First of all, take a pan and turn the heat on medium. Put coconut, jaggery and cardamom powder into the pan. Mix them well and keep stirring it continuously. Let it cook! 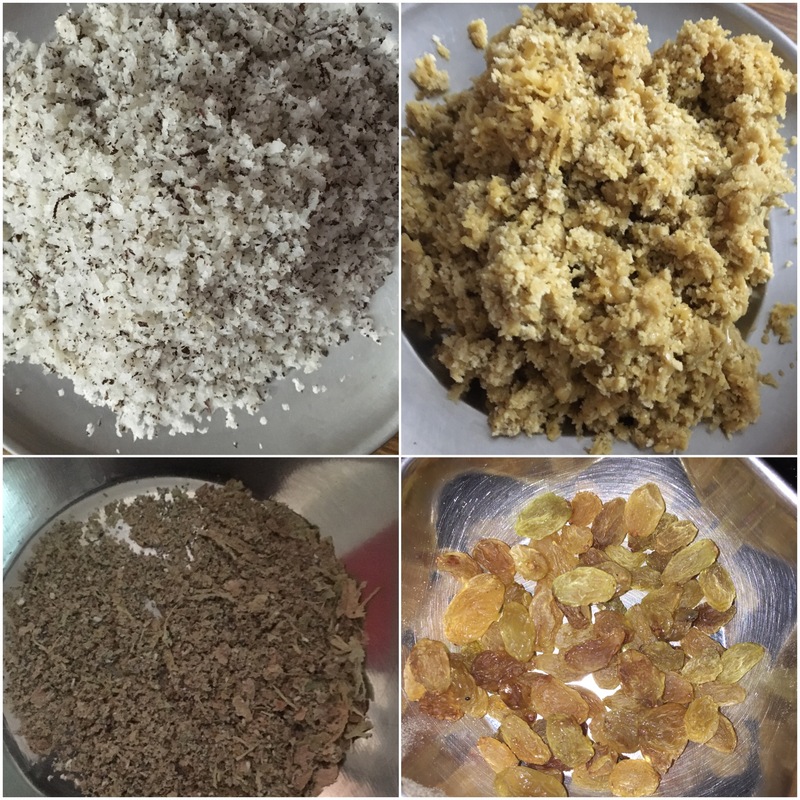 Soon the jaggery will melt down, cook it till the mixture is semi-dry. It may take 5-10 mins, Do not overcook, because it may make the mixture too hard. Take all purpose flour, semolina, salt in a bowl. In addition to it add a tablespoon of ghee/oil and mix it well with your fingers. Once this is done furthermore cover the dough with a wet cloth and let is rest for around 10 minutes. After 10 mins make small balls from the dough. And now put the stuffing inside the circle/roti and furthermore, apply some maida+water or milk on the edges using a brush or your fingertips. Since this will hold the roti together when you will mould it to a shape. Finally to give it a shape, start pinching the edges using your fingers and thumb as demonstrated in the picture below. This needs a bit of practice, the nearer the pleats are, the more beautifully it moulds. Hence fry the modaks till they turn deep brown in colour and it seems crispy from all the sides. 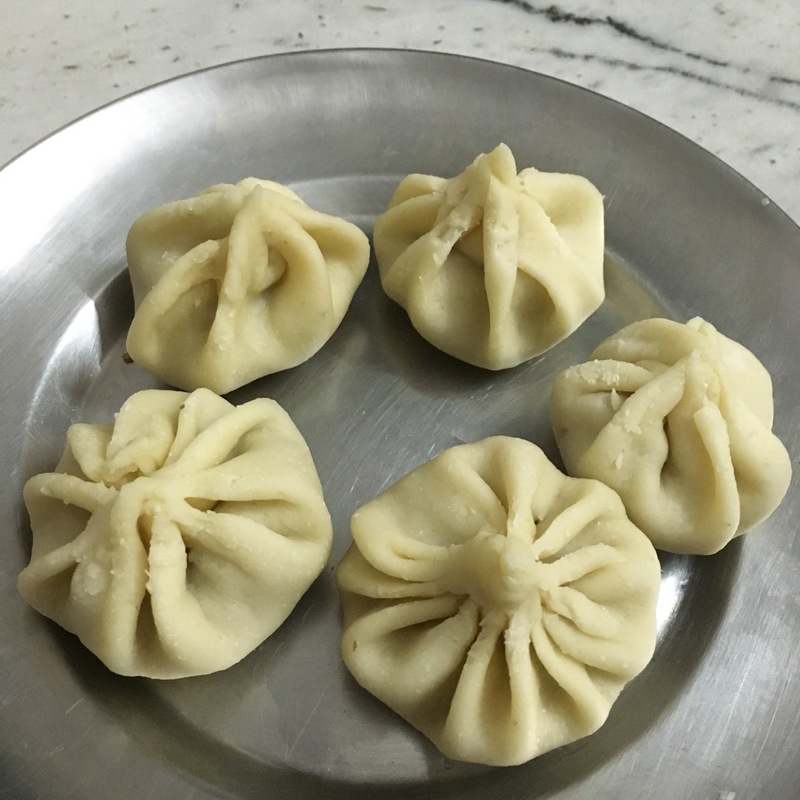 Most noteworthy, moulds for making modak are also easily available in the market, so if you want to avoid the pain! There is a subscribe option available on the right bar. I pay a visit daily some sites and information sites to read posts, but this web site presents feature based content. are not understanding anything entirely, but this article presents good understanding even. glance of your web site is great, as neatly as the content material! Hello! I simply would like to give a huge thumbs up for the good data you have here on this post. but I thought this post was good. I do not know who you are but certainly you are going to a well known blogger in case you aren’t already Cheers! Hi Frank, Thanks for your time! What kind of issues or suggestions you want to put across here! Gud one…Will surely try this! I am glad you liked it! Do try and share your experience and pictures @ChatoriDiaries on Facebook, Instagram or Twitter 🙂 Enjoy! Please contact us at contact@thechatoridiaries.com. Also follow us @ChatoriDiaries on Facebook, Twitter and Instagram for more such updates.